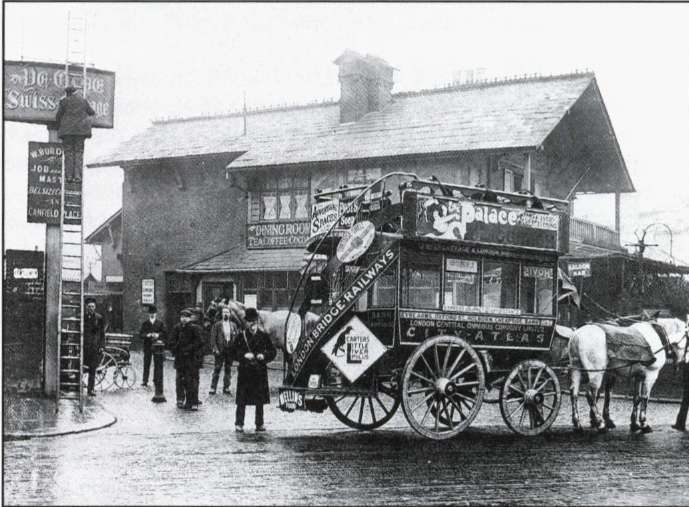 Swiss Cottage takes its name from a famous London public house. Here once stood an old toll gate keeper's cottage, then later a chalet. The Swiss Tavern was built in 1803-4, the name being changed to Swiss Cottage at a later date. The building was reconstructed in 1965. Built to the design of a Swiss cottage, it claims to be the largest pub' in London. When the railway was extended in 1868 to this part of north-west London, the name was taken for the station, and later for the district. 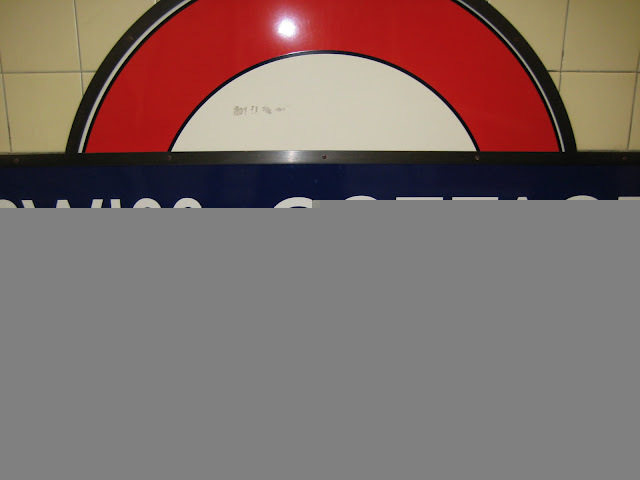 The Metropolitan Railway station was opened as Swiss COTTAGE on 13 April 1868 and closed as from 18 August 1940.The replacing tube station opened on 20 November 1939 on the Bakerloo Line Stanmore branch, which then became part of the Jubilee Line on 1 May 1979. Ye Olde Swiss Cottage having its sign spruced up on a dank day at the end of the nineteenth century.